She is planning to get settled in Kherson. 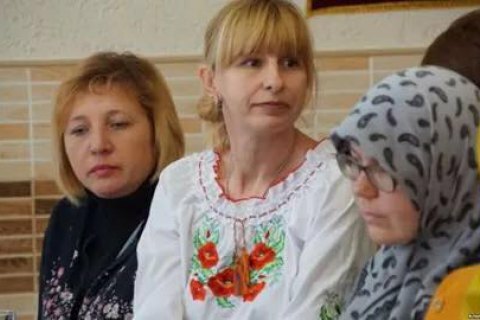 Olha Pavlenko, an activist with the Ukrainian Culture Centre in Crimea, has left the peninsula after the Russian Federal Security Service (FSB) searched her house on 29 August, Hromadske Radio has reported. On 2 September, she crossed the administrative border between Crimea and mainland Ukraine. The activist, whom the FSB suspects of working for the Ukrainian right-wing movement Right Sector, is planning to get settled in Kherson. Earlier, the FSB confiscated her phones, notes and computer data. She was not detained but was ordered to report to the Investigations Committee for an interview.